Are you interested in the lifestyles of the rich and famous? Arrange your hair and makeup, darlings, and get ready to dish about the dirty little secrets in 1950s high society. 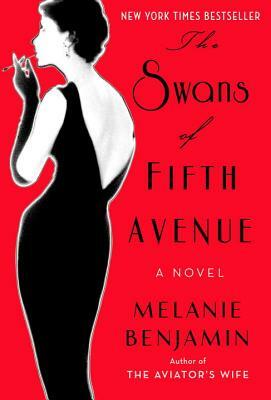 Truman Capote collected “swans’- rich and glamorous women who floated through life pampered and indulged. This fictionalized account of the meteoric rise and very public fall of Truman Capote, entwined with his deep friendship for Babe Paley and his ultimate betrayal of her and the rest of the swans, will slake your thirst for gossipy, breezy, scandalous details. Take off your wrap, pour a highball and enjoy! Enter Truman Capote. This diminutive golden-haired genius with a larger-than-life personality explodes onto the scene, setting Babe and her circle of Swans aflutter. Through Babe, Truman gains an unlikely entree into the enviable lives of Manhattan's elite, along with unparalleled access to the scandal and gossip of Babe's powerful circle. Sure of the loyalty of the man she calls "True Heart," Babe never imagines the destruction Truman will leave in his wake. But once a storyteller, always a storyteller--even when the stories aren't his to tell. Melanie Benjamin is the New York Times bestselling author of The Aviator's Wife, The Autobiography of Mrs. Tom Thumb, and Alice I Have Been. Benjamin lives in Chicago, where she is at work on her next historical novel.